The 2017 schedule was July 30 through August 11. We have had the joy of hosting RV Care-A-Vanner teams for several years. 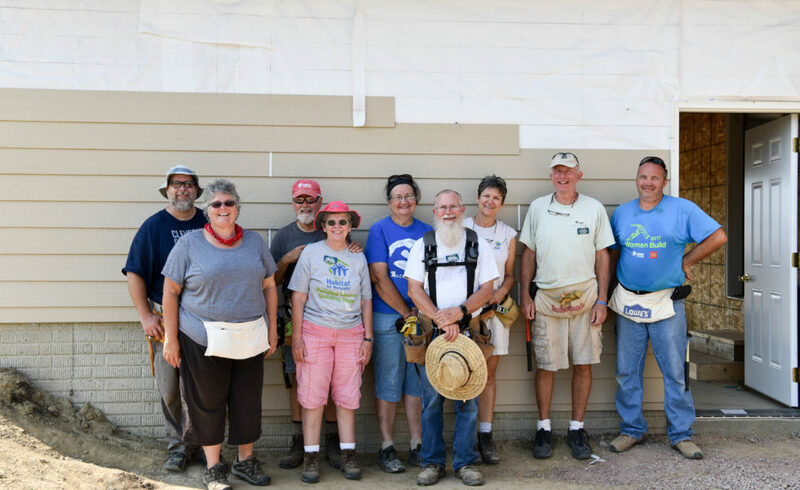 The Care-A-Vanners are volunteers who travel the country in RVs, stopping at Habitat affiliates along the way, working on builds or at disaster relief scenes. Care-A-Vanners sign-up through Habitat for Humanity International and then choose Sioux Falls. They may visit five affiliates, while crossing the country, or visit one affiliate, traveling between two states. It’s always a new team, although we have seen several “repeat” volunteers. We love that! If you’re interesting in learning more about being a Care-A-Vanner, visit Habitat International’s site. We have enjoyed some media coverage during RV Care-A-Vanners visits.